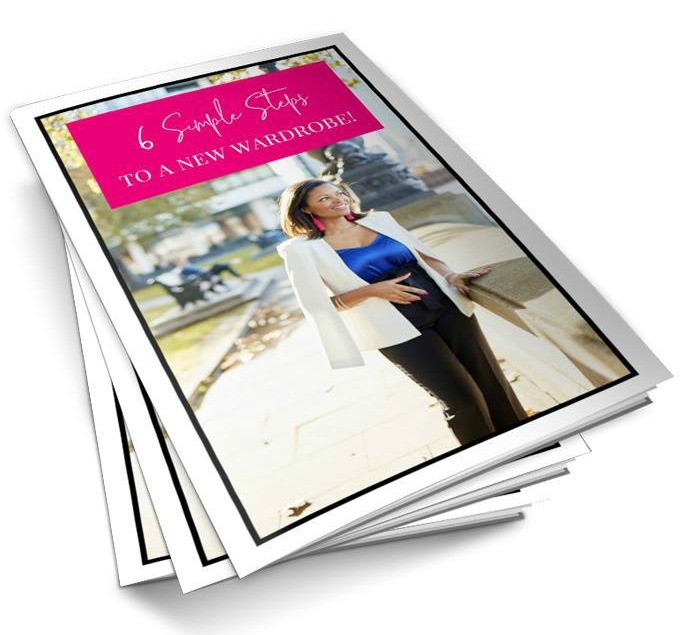 6 Simple Steps To A New Wardrobe! Are you ready to create a wardrobe full of clothes that fit and flatter you? Clothes that give you confidence when you wear them? Multiple outfits that can be worn to meet the needs of all your activities and social events? But right now you can't see how this is possible! You have a wardrobe full of clothes and "Nothing to wear"! What you really want is to open your wardrobe every day and have a pick of fabulous clothes that fit AND flatter you! Clothes that you are excited to wear because of the compliments you receive and the way you feel wearing them! Your New Wardrobe Is 6 Steps Away! 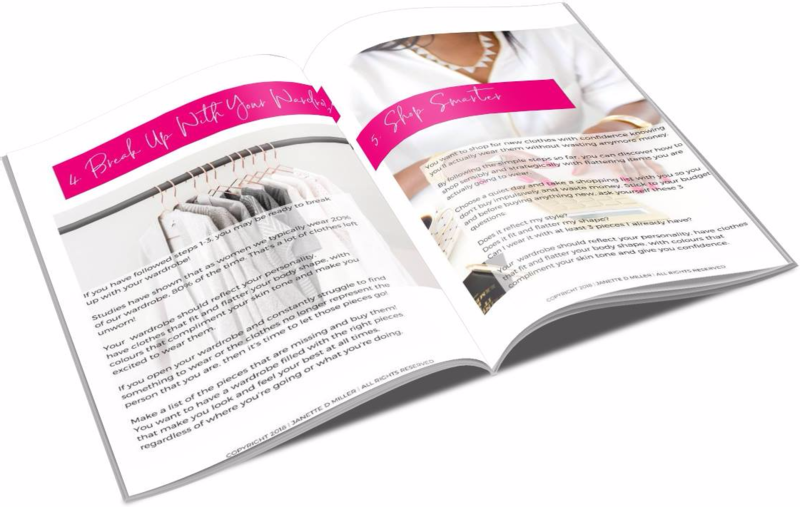 Using my 6 step Signature Personal Styling System, this FREE E-book will show you the simple and effortless ways to change your wardrobe and transform your image with life changing results. This 6 step style solution is used in my proven Personal Styling System that has seen transformational results for many women. Women who now feel more confident in themselves and their style. Women who have improved relationships and their social circle. Women who have found the confidence to network and build their dream business. I want to share what I’ve learned and taught others, with YOU! Are you ready to create your 2019 wardrobe to LOOK and FEEL FABULOUS? Enter your email address now to download your FREE E-book and change your wardrobe in 6 simple steps! Janette Miller is a Style Coach and Image Consultant. She works with women who have lost their style mojo and fed up with their current look. Woman that want to look stylish and put together but don't know how. Click the button below to continue your sign up!